Some days I wake up and wish my life looked different than it did. I wish that I could have gotten more sleep or go for that run I have been craving or hold my kids without experiencing pain. I find myself begging God to let me escape my current lot in life. Sometimes it seems like my current circumstances make for a perfect storm: an almost 4 year old boy full of energy that has refused to potty train, a one year old who doesn’t yet sleep through the night, and chronic pain that seems to be unrelenting. Everything that I would normally do to help cope with the complexities of raising kids like exercising, working a few hours a week, play dates, taking the kids to parks, museums, etc are not possible in light of my current level of pain. This morning I found myself in that very place – begging God for a different life full of different circumstances. And then I got an email from a dear friend stating that my current circumstances and God’s faithfulness to me through them has encouraged her. She felt like God was saying that He alone could strengthen me in my current lot in life and that He could use it for My good, Other’s gain, and His glory. I was drawn to yet again another Gracestoration card. I know I have talked a lot about Gracestoraiton but it seems that this is God’s primary way of speaking to me at this moment. I don’t seem to have the mental strength to read full passages of Scripture but I can look at these pictures and turn to a few lines of Scripture and be encouraged by His Word. Today I turned to the Greener Pastures card. There is a lot that I could say about the card but I am only going to share a small portion of it with you in this post. If you want to learn more, just click on the link above. 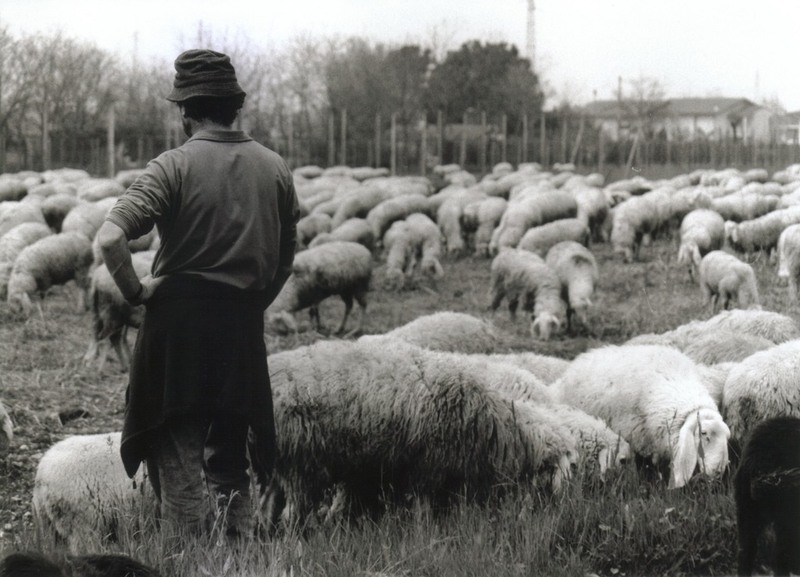 The shepherd theme runs throughout Scripture and it often refers to us as sheep and Christ as our Good Shepherd. Because He created us, He knows us so intimately that He can be our Good Shepherd and care for ALL of our needs, desires, and longings. We, like sheep, were created as dependent creatures. But from the first day we are born, we are vying for our independence. Dependence on anyone or anything is often seen as a weakness by the culture that surrounds us. 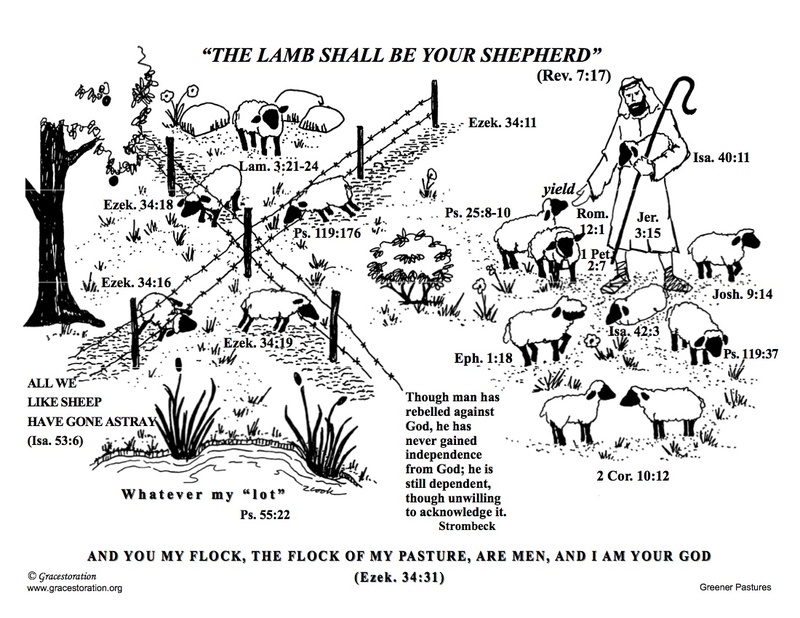 The Greener Pastures card is based on the shepherd/sheep theme and specifically references a practice that shepherds in New Zealand use. They divide their pasturelands into four quadrants and they rotate their flock from one quadrant to another. If they leave the sheep in the same pasture too long, the sheep will destroy the land by eating the grass down to its roots. So the shepherd knows exactly how long the sheep should stay in each quadrant. The sheep often want to go to one of the other pastures because the grass looks more appetizing, but in the process, they muddy their current pasture. They must instead wait and depend on the shepherd to move them to a different pasture when He sees that it’s in the best interest of the sheep. So if we are the sheep in this story and Christ is our Good Shepherd then we too are being rotated through different “pastures” in life. Like the sheep, we often get restless in our current pasture and long for the “green grass” on the other side. We try to do anything and everything in our power to make ourselves move to a different pasture. Sometimes we don’t even care what we are moving to just as long as we are at least moving away from our current lot. If you look at the sheep in the picture above, you can see the three sheep trying to get out of their respective pastures. The wavy lines next to each sheep indicate the mud that they have created as they have tried to leave their lot. Also notice some of the sheep appear stuck under the wire fence and have thus injured themselves. But now notice the sheep up at the top. It is standing in the middle of its pasture with its head up. It seems content with the lot that the shepherd has chosen for it despite the three rocks that are in the pasture. I can see myself on this card. I would love to say that I am the sheep standing content in the pasture God has chosen for me but instead I am one of the sheep trying desperately to get to another pasture. 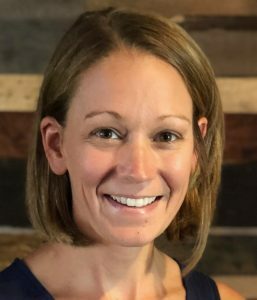 I keep thinking “maybe if I just try this treatment or just see this doctor, I can get rid of this pain and move on with my life” or “if I just try this method, then FINALLY my son will successfully potty train” or “if I just let my daughter cry it out then she’ll sleep through the night consistently.” I find myself desperate for change and I end up injuring myself and my heart in the process. Because of the Lord’s great love we are NOT consumed! I have been feeling consumed by the rocks in my pasture instead of looking to my Good Shepherd for his compassion and faithfulness. If you look again at the picture, there is one flower in that sheep’s pasture tucked behind the rocks. I think God is always faithful to provide flowers among the rocks; we just have to be looking for them. I am learning that even though He has allowed me to experience some difficult circumstances recently, He is faithful to provide blessings along the way. I have even found that the rocks themselves can actually be blessings as well. Some of my most enjoyable days have been my most painful days. Pain requires desperate dependence on my Creator. It’s when I am in a place of dependence that I can experience the sweetness of Christ like I have never experienced before. It also simplifies my life and filters out what is not important. This often translates to having one on one time with my kids, my husband, and my Savior. I am realizing that I have a lot of flowers among the rocks in my pasture – I just often can’t see them. My daughter turned one the other day and my son will turn four in a month and I have found myself welling up with thankfulness for the ability to be the mother to each of my children. I would not be their mother without the amazing grace of God and the sacrifice of both of their birth mothers. My kids are just one of the many blessings in my pasture. My husband, my family, my friends, and my house are just some of the blessings I get to experience on a daily basis. When I focus on what God has given me, it allows me to accept the difficult things that He has allowed. My Good Shepherd knows exactly how long I need to stay in one particular pasture. He can see the whole picture – life outside of just me – and can see the impact my pasture will have on the whole flock. He uses all things for My good, Other’s gain and His glory.